Ddu is a leading global pharmaceutical and medical device B2B online platform. Based on extensive knowledge and experience in the medical trade industry, Ddu aims to break down the information barriers of the trade to effectively match resources. 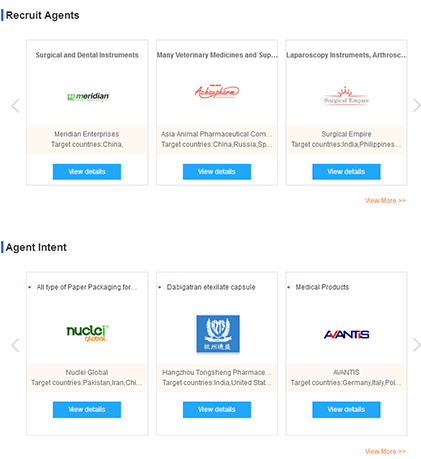 Ddu’s ecosystem gathers global pharmaceutical and medical device suppliers and buyers as well as third-party service providers for the entire medical trade industry. 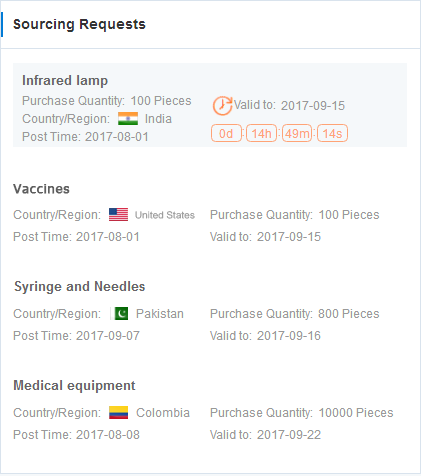 How to make use of Ddu’s resources to explore the international medical trade? The international trade in the pharmaceutical industry involves formulations, intermediates, APIs, extracts, excipients, pharmaceuticals and Chinese medicines. It includes the entire industry chain where a logical relationship exists between each category. Once this chain is accessible through the Internet, finding the ideal buyer or supplier will be fast and efficient. Users have the opportunity to meet buyers from China as well as manufacturers and distributors from across the world. Ddu allows you to search for your global users from specified target markets and if their products are related to yours, they are likely to become potential buyers. Thus, whether your products are in one particular category or various categories and whether you are a supplier or a buyer, you can search for global users in any target market on Ddu. Whether your company provides R&D services, clinical research and third party product registration or translation services, logistics and industry research, there are limitless opportunities for Ddu users to become your potential clients. 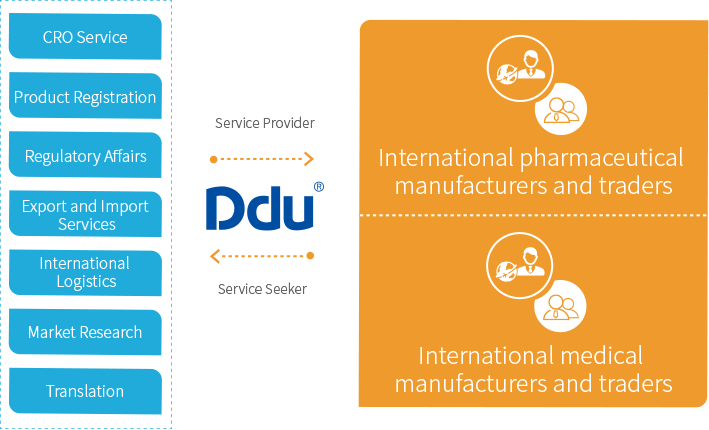 Ddu’s RFQ and Agency Services assist you in finding partners that match your needs and helps you to gain access to global resources in the medical trade. RFQ is a highly efficient tool which matches the information of buyers and suppliers. Buyers can post their sourcing requests on Ddu while suppliers can get real-time demands and send quotes to their potential buyers. Your RFQ will be promoted at every major global exhibition via the Ddu Global Promotion Plan. We will ensure that you never miss a single business opportunity. Publish information of agent recruitments or advertisements to accurately match global resources. Instant Messaging on the Ddu App enables you to contact global suppliers and buyers at anytime and anywhere.